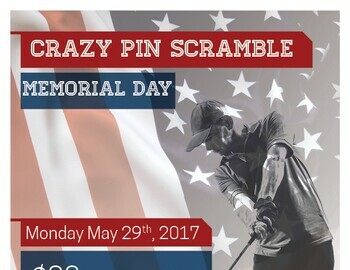 Sign up today for our Memorial Day Scramble! Pin positions will be placed in the most unorthodox of locations to challenge even the most experienced golfer. Prizes will be provided to the winning teams. Call or sign up in the pro shop today!